Automakers in the Czech Republic are boosting production so that they can start delivering new models. Skoda recently unveiled a rather impressive looking upgrade to the Superb sedan, and now Hyundai has shown off its new Tucson crossover range. The all-new Hyundai Tucson began production at the Hyundai plant in Nosovice last week, and will be used to replace the current ix35 model. 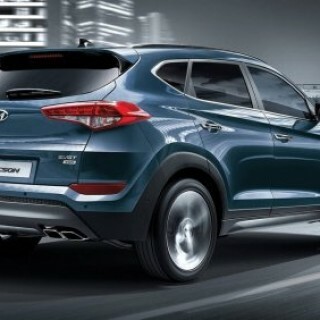 The goal is to make the Tucson CUV the flagship vehicle for the brand in the European region. According to a spokesperson from Hyundai Motor Europe, the vehicle will hit the market in either August or September, with pricing revealed closer to the actual release date. Czech prime minister Bohuslav Sobotka was among those in attendance at the unveiling. He was there to remind folks of the EUR 1-billion investment that Hyundai had made in the Novosice plant, which was the largest investment in the history of the Czech Republic. Last year, Hyundai produced 307,000 units at the plant, but that number is expected to increase to 330,000 this year, with the Tucson accounting for a third of the total. Roughly 60 states will take delivery of the Tucson. While the demand for Hyundai vehicles is on the rise, so are the challenges that the demand poses. In order to keep up, production has to be upped from 60 cars per hour to 66, which is not something that the unions are happy with. Hyundai was already the second largest automaker in the Czech republic last year, as their vehicles represented close to a quarter of the 1.24 million cars that were produced in the country.